You probably know the drill when it comes to pop punk by now. For those who don’t (where have you been? ), its revival has made it one of the biggest genre success stories of the last five years, but it’s become easier and easier to be frustrated with the constant rehashing of the same song formats. Still, new bands are coming out of the woodwork seemingly every day. Liverpool became the latest UK city to be represented by a pop punk band with the formation of WSTR, whose 2015 debut EP SKRWD housed some of the biggest choruses of the year. Their debut full-length Red, Green Or Inbetween aims to follow in SKRWD’s footsteps, with hit-and-miss results. On SKRWD, WSTR managed to fashion their own identity while still fitting comfortably inside their chosen scene. Red, Green Or Inbetween sees that change. A lot of the tracks on the album seem to evidence the mindless Neck Deep curse (near-exactly following the blueprint of the scene’s most pioneering band, be it for success or naïvely living band life for a while) that many UK pop punk bands are falling prey to. The likes of The Last Ride and Footprints are close to indistinguishable from other genre mainstays – disappointing when character and a chance to flourish as their own identity has already been more than proven. But away from harsh judgements on where this album fits in the bigger picture, these songs as a whole are a lot more likeable than the rest of the lifeless carbon copies circling the airwaves. Lyrically, Sammy Clifford is a perfect relatable ringleader, with searing honesty about drinking and relationships simply a joy to listen to. More importantly, though, it’s obvious from the get-go that this is music WSTR themselves actually enjoy and want to make, and as clichéd as it seems to point out, it’s shocking how lacking the audible enjoyment and passion is among today’s new breed of pop punk bands. King’s Cup is summery and basically pleads for you to join the whale of a time the quartet themselves are clearly having, while singles Lonely Smiles and Featherweight have those trademarked WSTR chorus (catchy, irresistible and made for singing along to in solidarity). In short, Red, Green Or Inbetween is a great quick-fix for anyone who wants to add a shot of pop punk to their day (the exact reasoning for needing it is open to interpretation). But in terms of a wider career, some changes might need to be made. Releasing more of the same might appease a niche market of those still lusting after the romanticised ‘perfect pop punk song’, no matter how clichéd, but it’s hard to see this same blueprint working for a successful follow-up. That’s not to say that this is a poor album. It’s just that repeating the same album twice in a career is far from helpful for a band that wants to progress – even more so when it’s an album plenty of other bands have made before, too. 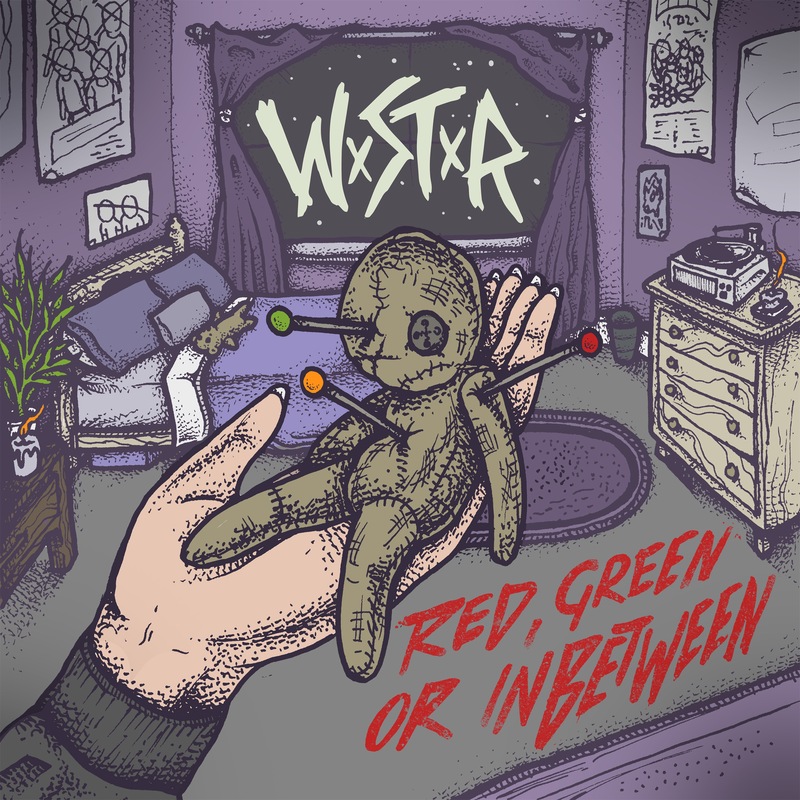 ‘Red, Green Or Inbetween’ by WSTR is released on 20th January on No Sleep Records.